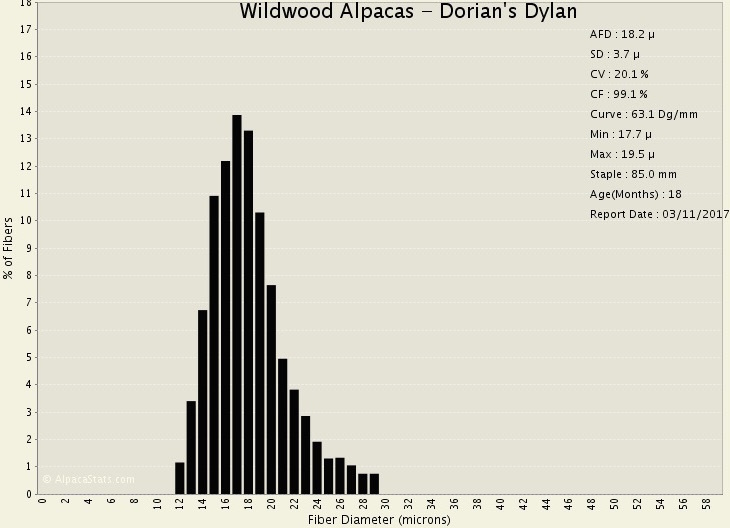 Everyone who sees Dylan knows right away that he's a Dorian son! This boy has it all and I think he knows it! 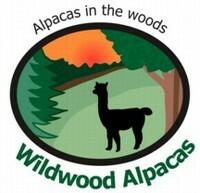 He has presence, along with his awesome fleece and head. Very dense and soft fleece in tight, consistent bundles. 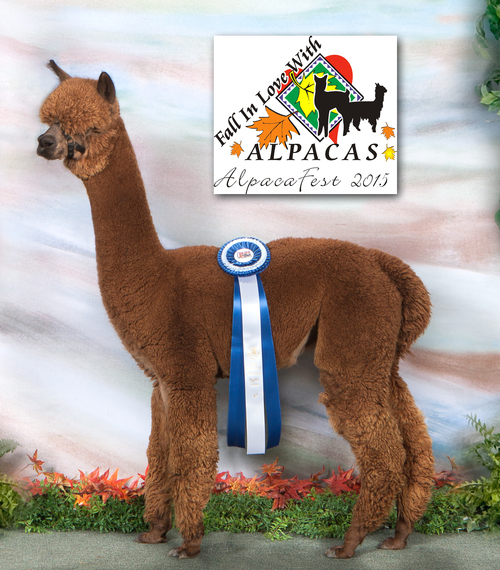 Entered his first show at 2015 OABA Alpacafest and brought home the Blue ribbon. 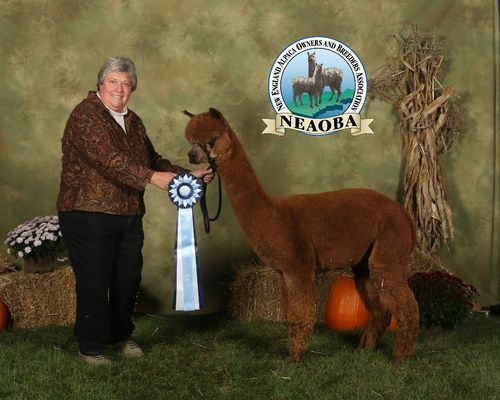 Next in a competitive class at VAOBA Expo, just weeks after turning 1, he got 3rd in the yearling class. 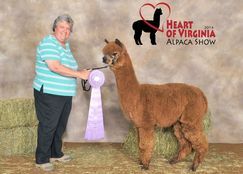 He picked up his first banner at the 2016 Heart of Virginia show, coming in behind his half brother Juno in the Championship. 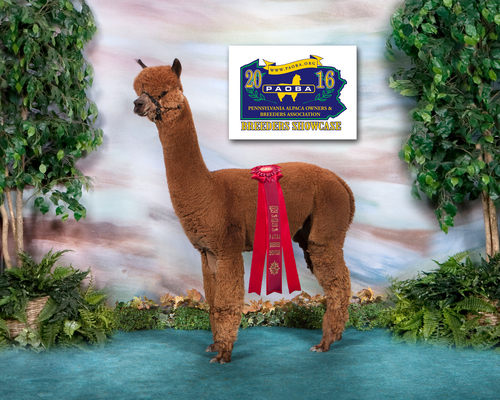 He and Juno went on to win the blue ribbon for their damn Solstice in the Produce of Dam class. Dylan's next show appearances were in New York where he took the blue with Judge Jude Anderson calling him the "clear winner" in the yearly class at NEOBA. 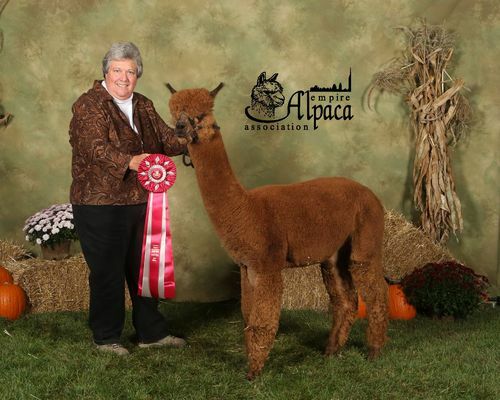 The next day, he came in second in yearling halter at Empire under judge Helen Testa. At PAOBA, he took another second. 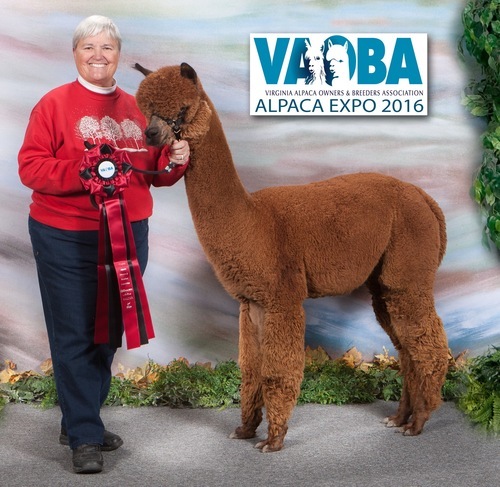 At the 2016 VAOBA Expo a week after turning two years old, he came in second in a very competitive 2 Yr Brown class of 6. He is ready to start his breeding career!